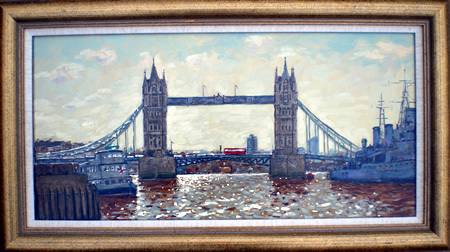 Overall size including frame: 42 x 72cms 16.5" x 28.25"
My viewpoint for this painting was Swan Lane where I did a quick watercolour study and then this oil painting back in the studio. 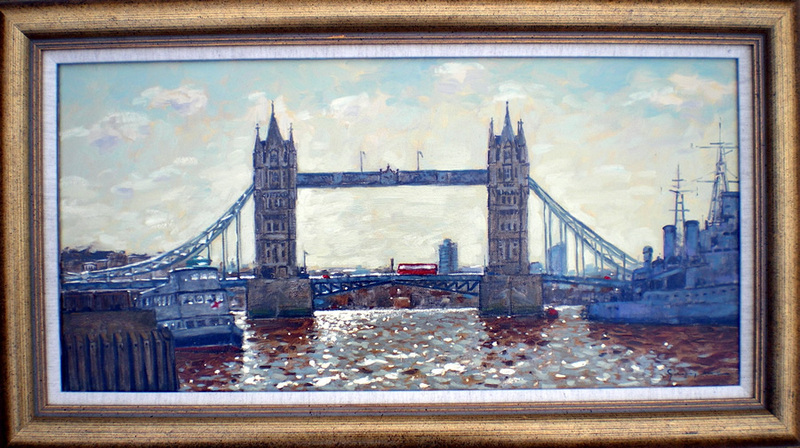 In order to keep Tower Bridge as my main subject I centred it and after much deliberation decided to include only part of HMS Belfast to balance the composition. The red London bus catching the sun adds a little extra interest.